CRESTLINE — As happened with most Catholic schools in Ohio, the students of Crestline St. Joseph Catholic School observed much of Catholic Schools Week by staying home while school was closed due to sub-zero temperatures and snow. Although some of the planned activities can wait until next year, one very important event cannot: Crestline St. Joseph School will proudly celebrates its 150th year of providing excellence in faith-based education to the Crestline and surrounding communities. St. Joseph Parish Pastor, the Rev. Christopher Bohnsack, and St. Joseph School Principal Dan Salvati are inviting all alumni, former teachers and staff, parishioners, Crestline community members and friends to join the student body for a reception in the St. Joseph Convocation Center on Friday, Feb. 8, at 1:30 pm, to celebrate this important milestone. First, and foremost, St. Joseph’s 150th birthday. Fifteen decades of serving the students and families of Crestline St. Joseph Parish and the Crestline Community with academic excellence, loving guidance, and religious formation that has carried generations of Crestline youth into responsible adulthood and citizenship will be celebrated. Catholic Schools Week. The church and school’s Catholic heritage and tradition along with all the other Catholic Schools observing this annual recognition will be celebrated. Andthe future: This 150th anniversary comes at a time when our parish commitment to support of the school needed to be evaluated. As a result of two Town Hall style meetings, many adults expressed their great appreciation and passion for St. Joseph School. They have rallied in support and made it abundantly clear that St. Joseph School needs to remain in the Crestline community. 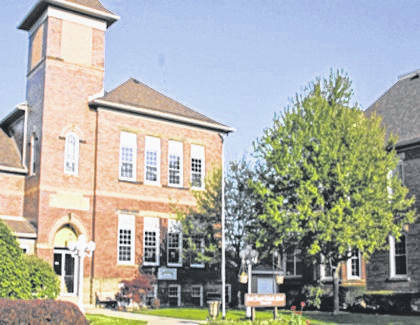 A reinvigorated show of financial and emotional support for the school has insured that St. Joseph School will open its doors to students next year and, hopefully, for many years to come! What better time to celebrate this new commitment than on the 150th anniversary of the original commitment to serve the youth of this Crestline Community! The celebration will be in the St. Joseph Convocation Center, located on the school campus at 333 N. Thoman St. in Crestline. The celebration will begin at 1:30 and close at school dismissal time, which is 2:40 pm. During the cake and refreshments reception, a program recognizing special guests and the current St. Joseph Teachers and Staff will be offered for everyone’s enjoyment.